At times, you may require a hefty, outdoor alternative to our standard locks and latches to keep your environments secure. 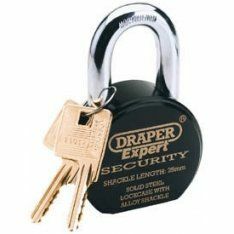 Our assorted padlocks are perfect for jobs like these; compact, durable, and available in many different designs, they’ll remain strong and rust-free for years to come. Mortice bathroom locks are a combination of the traditional mortice deadlock and the more accessible mortice sashlock. For those who prefer a lockless bathroom door, our range of mortice latches offers numerous designs and metal finishes. We also have budget locks on offer, for inexpensive yet sturdy protection components, and fire brigade locks for staunch, hefty preservation of valuables and environments. Where more domestic needs are concerned, we stock an assortment of magnetic catches and roller catches. These units provide a classy finish to all your indoor needs. For owners of more unique door formats, our rebate sets and sliding door locks & latches can deliver a stylish touch to your home and workplace. From the ultra-modern otto door handles to the meticulously designed chrome sliding door pulls, you’re sure to find something to your liking. For workplace conditions, consider our collection of digital locks. Available in a smooth chrome finish, these locks can be assigned a unique passcode and are suitable for maintaining a secure environment in which multiple users operate.